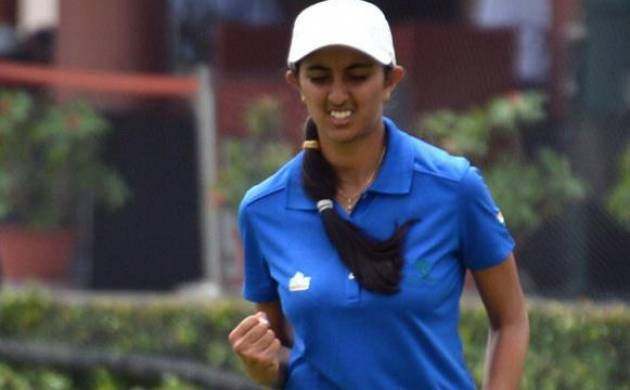 A teenaged Aditi Ashok rose from obscurity to take Indian golf scene by storm even as seasoned professionals went through their usual crests and troughs in a reasonably good year for the sport, which returned to the Olympic fold after more than a century. The 18-year-old Aditi was the brightest star on the Indian golfing horizon this year and was fittingly named the Ladies European Tour’s ‘Rookie of the Year’ for becoming the first Indian to win two back-to-back titles in her first year on the tour. Among the men, it was a bitter-sweet experience for Anirban Lahiri but SSP Chawrasia and Gaganjeet Bhullar’s return to form with twin titles ensured that India continued it’s rapid rise on the course. After savouring unprecedented success last year, Lahiri continued to juggle between Asia, US and Europe and achieved the unique distinction of becoming the first Indian along with Chawrasia to play at the Rio Olympics. The poster-boy of Indian golf had a topsy-turvy year where he twice came close to winning titles at the Macau Open and CIMB Classic in October but was denied a victory twice by sheer misfortune. He finished second and tied 3rd in the two tournaments respectively. In Macau, Lahiri birdied the last seven holes on the final day but still lost in the playoff after finding a water hazard, while at Kuala Lumpur, the Indian star took a four-shot lead into the final round but a wild tee shot saw him make a quadruple bogey. The Bangalore golfer had almost defended his Hero Indian Open title early in the season but eventually lost to the brilliance of a certain Chawrasia, who pulled off a two-shot win at the USD 1.66 million tri-sanctioned event to secure his European Tour card for three years. It was Chawrasia’s third European Tour win and the fourth on the Asian Tour and riding on this performance, the diminutive Kolkata golfer eventually qualified for the Olympics. The 38-year-old, who also played at the EurAsia Cup and World Cup of Golf this year, notched up his second title of the season when he clinched the Resorts World Manila Masters crown—his first Asian Tour title outside the country—in November. Chipputtsia, as he is lovingly called, however, struggled in the European Tour and his best finish was a tied 27 th at the BMW PGA Championship in May. It turned out to be a comeback year for Gaganjeet Bhullar as well as he recorded his sixth Asian Tour triumph at the Shinhan Donghae Open after overcoming a five-shot overnight deficit.